Luis Palau and his ministry have shared the Gospel with more than 1 billion people through evangelistic events and media. He has spoken in person to 30 million people in 75 countries with more than 1 million registered decisions for Jesus Christ. He has authored close to 50 books, contributed articles on issues of faith to countless publications, and counseled business leaders, political leaders, and heads of state around the world.Luis’ radio broadcasts in English and Spanish are heard by millions on 3,500 radio outlets in 48 countries. Luis Palau festivals have produced some of the largest audiences ever recorded in cities from south Florida to South America. His ministry also includes Next Generation Alliance®. More than 500 evangelists are currently a part of this worldwide alliance that allows partner evangelists to collaborate, draw guidance and resources from Palau’s vast experience, and become equipped to reach the world for Christ. Luis’ latest book, Out of the Desert…into the Life God Fully Intended, was released in the United States in 2012. Luis and his wife, Pat, live in Portland, Oregon, along with their four sons (three of whom are actively involved in the ministry), and twelve grandchildren. Gail is a co-founder and board member of Mission Increase Foundation, an organization that is helping more than a thousand Christian ministries to grow and increase their impact for the kingdom. Gail loves studying God’s Word and has been a leader of a local Bible Study Fellowship chapter and Mom’s in Prayer. Prior to taking time to raise a family, Gail worked for Pacific Northwest Bell (now Century Link). After leaving Pacific Northwest Bell in 1990, Gail helped her husband, Dale, in the start-up of Stockamp & Associates. The firm grew to approximately 400 people prior to being acquired by Huron Healthcare. Gail and Dale have been married for 34 years and are long-term residents of Lake Oswego, Oregon where they attend River West Community Church. Gail and Dale have three grown children. Gail and Dale have enjoyed a long relationship with the Luis Palau Association since 1995. Gail joined the Luis Palau Association board in 2011. Wendy Palau shoulders a burden for the lost, born out of her own experience of living apart from Jesus Christ for the first 24 years of her own life. While born into a wonderful Christian home on the island of Jamaica, her heart wandered and sought fulfillment in all the world offers. At 25 years of age, God mercifully revealed Himself and she experienced His radical transformation. Wendy and her husband, evangelist Andrew Palau, have since dedicated their lives to serving churches around the world through city-wide evangelistic outreaches. Each campaign features a strong focus on meeting the spiritual and physical needs of the least in this world. Under Wendy’s compassionate direction, mission teams join each effort; whether in Africa, Haiti, or her beautiful homeland of Jamaica. Wendy and Andrew have been married 19 years and her primary job is raising their three children: Christopher, Jonathan, and Sadie. Pat Palau has taught thousands by effectively presenting biblical truths, using theological concepts, as well as living examples drawn from her life as an evangelist’s wife. At the early age of eight with, her mother’s guidance, she gave her life to Jesus Christ and has been serving him since. 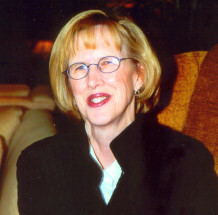 After earning her Bachelor of Arts degree in education from Seattle Pacific University, Pat became a public school teacher. Later she enrolled in the graduate program at Multnomah School of the Bible (now known as Multnomah University) in Portland, Oregon where she met her husband, evangelist Luis Palau. Pat has co-authored two books with PeggySue Wells, What To Do When You Don’t Want to Go to Church and What to Do When You’re Scared to Death. She currently serves on the board of trustees for Multnomah University and Christian Missions Charitable Trust of Chennai, South India. Pat and Luis reside in Portland, Oregon, along with their four sons, three of whom are actively involved in the ministry, and twelve grandchildren.